ISBN M049501507. 21.00 x 29.70 cm inches. 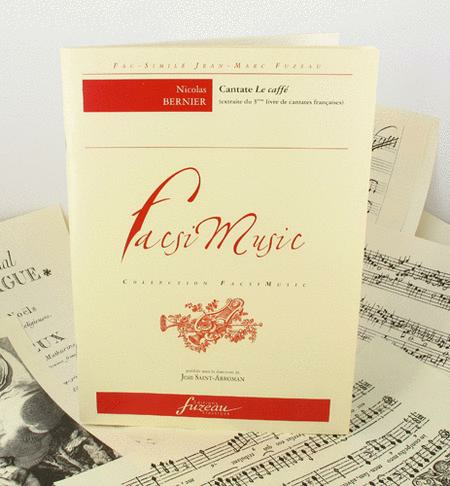 This facsimile of an original by Nicolas Bernier is part of our Facsimusic collection. " Le Caffe ", quatrieme cantate extraite du Troisieme Livre de cantates francoises de Nicolas Bernier. Edition : Paris, Foucault, (s. d. = 1703). 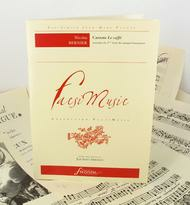 The most interesting cantata of the book, both for the text and the music. Cantate in A Major, " a voix seulle avec Symphonie ". High voice (soprano), violin (or flute) and continuo.